The girls are proud to represent MiraCosta College to the outside world. This team provides an identity to our female student athletes. Rugby has been a grassroots effort started as a club by a handful of students and now has the opportunity to become National Champions of NSCRO. In two short years, MiraCosta Rugby has established itself as a very competitive and respected club within the small schools division nationally. The Rugby program's purpose is to teach, develop and maintain a strong, well-organized and enduring rugby program for MiraCosta College students and to promote and maintain the culture of rugby and its ideals of strong character, good sportsmanship, exemplary leadership, fair play, camaraderie, and respect for all players, coaches, referees, and spectators. Send Our Team to Regionals! Thanks to your generous donations, we were able to send the Men's Rugby Team to Pittsburgh, where they won the National Championship! Now we're asking for support of the Women's Rugby Team. 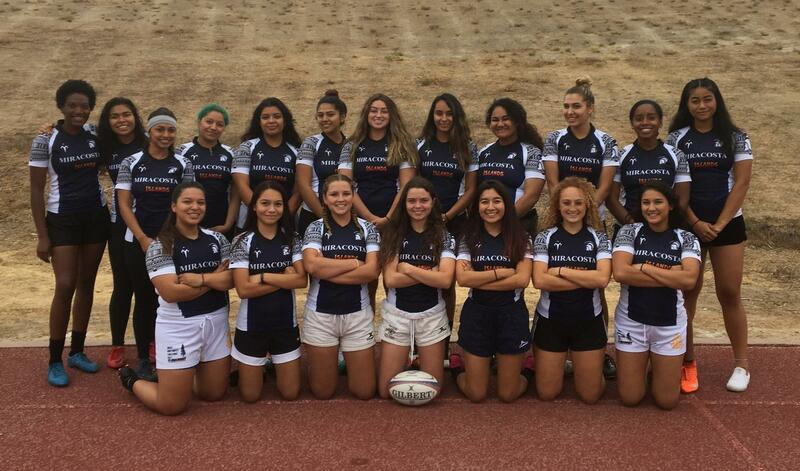 The Women's Rugby Team has qualified for for the Regional Championship. Help send the team to the Regionals in Nebraska! Travel expenses for the team. Without your support, the team will not be able to fly to Nebraska. November 10th and 11th, 2018.